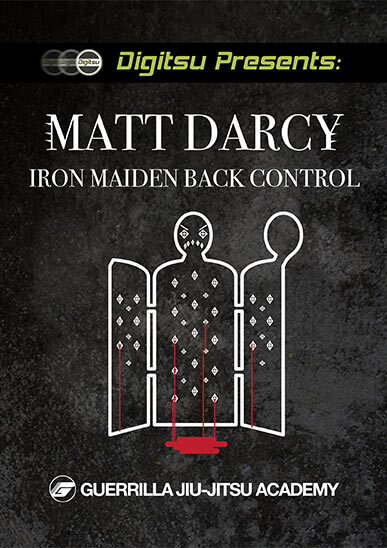 The Iron Maiden Back Control System is the brainchild of Professor Matt Darcy (co-founder of the Guerrilla Jiu-Jitsu system). As a second degree Black Belt under the legendary Dave Camarillo, Matt Darcy's super aggressive submission-oriented style stems directly from his lineage. The Iron Maiden Back Control System mainly entails using your legs to bind and immobilize your opponent's arms and upper body. In this instructional series, Professor Darcy will walk you through an elaborate and detailed system of submissions and control sequences that will render your opponent defenseless. If you are a point fighter, don't buy this instructional... This series is only for the serious submission hunters!